Some of the best credit cards also come with an annual fee, which means the credit cards have to offer enough perks to justify paying a fee to have the credit card. If you want to cut down the cost of carrying credit cards, choosing a card with no annual fee is the obvious choice. Going the no annual fee route doesn’t mean you have to miss out on great credit card perks. Many of the best no annual fee credit cards offer rewards, special APR pricing, or even both. To keep your credit card costs down, make sure you pay your balance on time and in full each month. This keeps you from having to pay additional interest and fees on the card. Not sure which no annual fee credit cards are worth it? We can help. Take a look below to see the best options available. 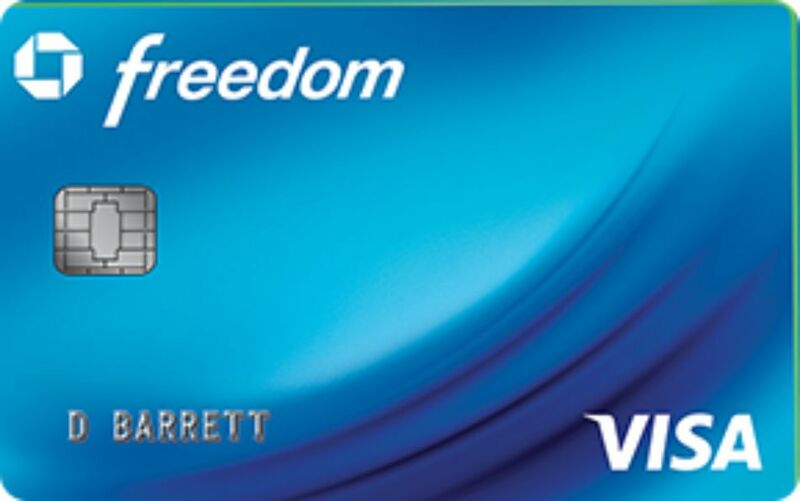 The Chase Freedom is one of the most popular credit cards. As a new cardholder, you can earn a $150 cash bonus after spending $500 on purchases within the first three months of opening your account. You can meet that by spending about $167 on credit card purchases each month. Balance transfers and cash advances don’t earn rewards. You’ll earn 5% cash back on up to $1,500 in combined purchases in bonus categories each quarter. The bonus categories rotate each quarter and you have to signup to earn the 5% rewards. All other purchases earn 1% cash rewards. Your purchases earn points that you can redeem for cash back as a statement credit to your account. Important Pricing: You can also enjoy a 0% introductory APR on purchases for the first 15 months for purchases or balance transfers. After that, the regular APR is 17.24 to 25.99% based on your credit history. If you’re a small business owner, you probably spend a lot of money on your business each month. The Chase Ink Business Cash credit card allows you to earn $500 in cash back rewards after spending $3,000 on purchases in the first three months of opening your account. If you spend at least $1,000 each month on your business, meeting the minimum spending requirement will be a cinch. Ongoing, you’ll earn 2% cash back on the first $25,000 spent in combined purchases at gas stations and restaurants every year, which is easily done if you’re taking clients out for meals or on the road traveling to meetings. You'll also earn 1% cash back on all other purchases. Important Pricing: Enjoy a 0% introductory APR for the first 12 months on purchases. After that the regular APR is 15.49 to 21.49% based on your credit history. If you’re looking for a great no annual fee to transfer a balance, the Citi Simplicity is a great option. It has one of the longest 0% introductory period – 21 months. The introductory rate applies to balance transfers. After the introductory period, the regular APR will be 16.24% - 26.24% variable based on your credit history. The Citi Simplicity doesn’t pay ongoing rewards, which means you can focus on paying off your balance transfer balance without worrying about having to use your credit card to earn rewards. Finding a good no annual fee credit card is tough when you have bad credit. The Capital One Secured MasterCard is an excellent choice for rebuilding your credit. You obtain the credit card by making a security deposit against your credit limit. The security deposit is held until you close your credit card account. Capital One allows cardholders to make as low as a $49 security deposit for a $200 initial credit limit, as long as your credit history allows. Otherwise, you’ll make a $99 or $200 security deposit for the $200 credit limit. And if you make your first five monthly payments on time, you’re automatically considered for a higher credit limit. The regular APR is 26.99%, which is pretty high, so make sure you pay your balance in full each month to avoid expensive finance charges. The Blue Cash Everyday from American Express credit card pays great rewards on the purchases you’re likely to make each day. Earn 3% cash back on purchases at U.S. supermarkets on up to $6,000 in purchases each year; 2% cash back at U.S. gas stations and select department stores, and 1% cash back on all your other purchases. You’ll have the opportunity to earn a $150 sign up bonus after you spend $1,000 on purchases in your first three months. The rewards bonus will be applied to your account as a statement credit. Important Pricing: Enjoy a 0% introductory APR on both purchases and balance transfers for the first 15 months. After that, the regular APR will be 15.24 to 26.24% based on your credit history. Whether you’re a frequent traveler or just looking for a way to offset the cost of your next vacation, a travel rewards credit card is a must-have. The BankAmericard Travel Rewards Credit Card offers 25,000 bonus points if you make $1,000 in purchases within the first 90 days of opening your account. The bonus points can be redeemed for a $250 statement credit toward travel purchases made on your credit card. Ongoing, you’ll earn an unlimited 1.5 points for every dollar you spend on purchases. There are no blackout states or restrictions on how you can use the points you’ve earned. Plus, your points never expire as long as you keep your account in good standing. That means making all your payments on time each month. Enjoy a 0% introductory APR on purchases for the first 12 billing cycles after opening your account. After that, the regular APR is 16.99 to 24.99% based on your credit history. There’s no promotional rate for balance transfers, which have an APR of 16.99 to 24.99%. Most cash rewards credit cards pay higher rewards only in certain categories, which means you have to pay attention to your spending habits if you want to maximize your rewards. With the Citi Double Cash, you only have to use your credit card regularly and pay your balance back. You’ll earn 1% on all your purchases and then 1% as you repay your balances, as long as you pay at least the minimum. You have an opportunity to earn 2% cash back on all your purchases if you pay them back right away. The Citi Double Cash offers a 0% introductory APR on balance transfers for the first 18 months. After that, the regular APR is 15.74 to 25.74% based on your credit history. The Wells Fargo Propel American Express Card is a co-branded credit card with Wells Fargo and American Express. The card pays 30,000 bonus points when you spend $3,000 on purchases within the first three months of opening your account. The bonus points have a $300 cash redemption value. Ongoing, you’ll earn three points for every dollar you spend on restaurants, gas stations, ride shares and transit, flights, hotels, home stays, car rentals, and popular streaming services; all your other purchases will earn one point per dollar. Enjoy a 0% introductory APR for the first 12 months on purchases or balance transfers. After that, the regular APR is 14.49 to 26.99% based on your credit history.